Readers, please welcome author Devika Fernando on ILuvFiction today, part of the Blog Tour hosted by The Book Club. We will straight away move to the interesting part, the questions, we are dying to ask Devika. 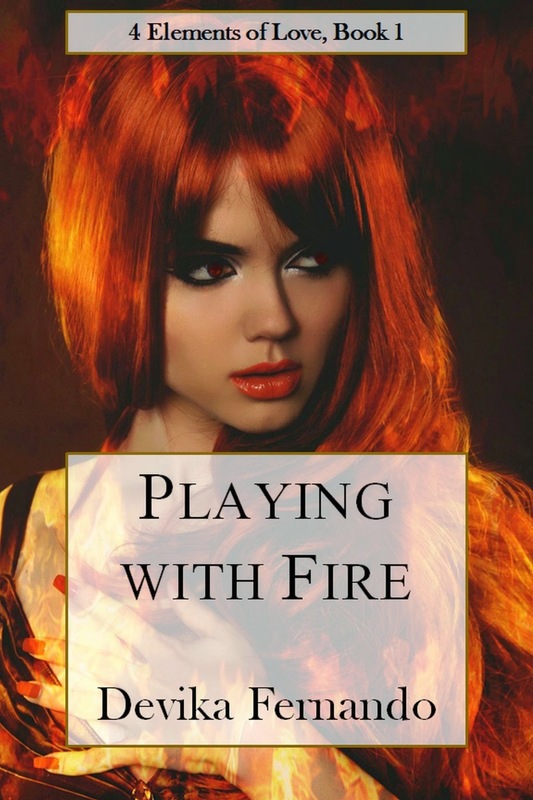 ILF: How did ‘Playing with Fire’ happen, the inspiration and idea? ILF: What were the challenges faced while writing this book? Were you thinking of the series right from the beginning or the idea came after you started writing this book? Devika: To answer the first question: This was my first foray into paranormal romance, so it was a challenge to balance all the action / magic / paranormal with the general romance theme I was used to writing. As for the second question: After I had the outline of the story, I just thought to myself, what about writing one for water too? And from that I realized I could make a whole range of books, so the series ‘4 Elements of Love’ was born. The Water book will be the second one, it’s a work in progress. I think Earth will be third and Air will be fourth. ILF: What are essential steps to be kept in mind after finishing the draft and before publishing? Devika: I always go through several rounds of editing. During the first rounds I check whether there are any plot holes, whether everything makes sense and whether I need to include more romance. Then I cut out introspection / backstory, which is my weakness. The last editing rounds deal with the language and style aspects and correcting mistakes. As a general rule, editing is very, very important. And I have learned to always rely on two, three beta readers before my final round of editing and then publishing. Devika: I like the writing most. 😉 It’s just in my blood to write, I can’t not do it. I like editing least, and formatting can be a bit of a pain in the neck (especially for paperbacks). 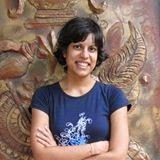 Devika: Some of you might have seen that I am co-authoring a book with bestselling author Mike Wells. It’s a romantic suspense novel called “Forbidden”. I have done my part and Mike will now weave his magic. The book should be out by the end of this year. As for my own projects, I’m writing on the contemporary romance novel ‘Saved in Sri Lanka’ for NaNoWriMo, and I want to continue working on ‘In Deep Water’ (4 Elements of Love, Book 2). Devika: Hmmm… that I’m a shy introvert at heart? ILF: You have self-published three books. Give us three tips on self-publishing. Research and collect information about self-publishing before you start. Never ignore social media or start with it too late. Devika: Write as much as you can, and read as much as you can. Because practice makes perfect, and there’s so much to absorb and get inspiration and advice from. ILF: Thank you so much for your time Devika, pleasure talking to you! Devika Fernando is a self-published author and writes in Romance and Paranormal Romance genres. After finishing her education in Germany and returning to her roots in Sri Lanka, she has turned her passion into her profession. Having lived in various countries around the globe has made her experience the best of two totally different worlds – something that influences her writing. Her trademark stories are deeply emotional romance where the characters actually fall in love instead of merely falling in lust. She draws inspiration from everyone and everything in life. Previous Post Hollywood Recalibrated… what do you think fellow Indians?